What causes people to continually relive what they most want to forget, and what treatments could help restore them to a life with purpose and joy? 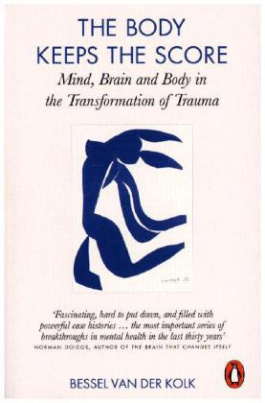 Here, Dr Bessel van der Kolk offers a new paradigm for effectively treating traumatic stress.§Neither talking nor drug therapies have proven entirely satisfactory. With stories of his own work and those of specialists around the globe, The Body Keeps the Score sheds new light on the routes away from trauma - which lie in the regulation and syncing of body and mind, using sport, drama, yoga, mindfulness, meditation and other routes to equilibrium.